Our summary: The cocoonababy spare protective cover is useful if the original protective cover is in the wash or goes missing. Please note the cocoonababy nest comes with a protective cover already - this is just an additional option if you want a spare. It is designed to be used under the cocoonababy sheet. 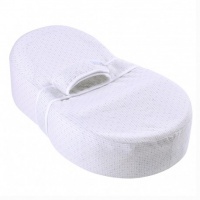 Waterproof, breathable full protective replacment cover for the Cocoonababy ergonomic cocoon. 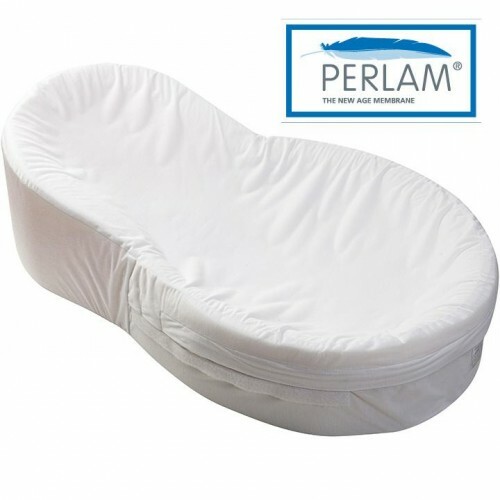 At the same time waterproof and breathable thanks to the PERLAM® technology, this very supple cover protects the Cocoonababy® without affecting baby's comfort. Supplied as part of the Cocoonababy standard equipment, the integral cover ensures safety and perfect hygiene as it can be renewed and replaced between uses, from one child to the next. In order not to alter the benefits of the Cocoonababy, only use accessories from the Cocoonababy range. These accessories have been developed in collaboration with healthcare professionals, they have been tested in accredited laboratories and comply with safety requirements. During the first few months of a newborn baby’s life, the ergonomically shaped Cocoonababy will reassure your baby and help him or her adapt as well as possible to their new life. Lying in the nest, the baby, having left the boundaries of his mother’s womb, feels ‘contained’ and comforted. * It allows your baby to touch their face and mouth like he or she did in the womb giving them reassurance. * It can help reduce gastric reflux. * It can limit the risks of cranial 'flat head' syndrome, commonly caused when baby sleeps on his back on a traditional mattress. * It frees and directs the baby's movement, which can help hand eye co-ordination development. * It can improve the interactivity between the baby and those around him/her.